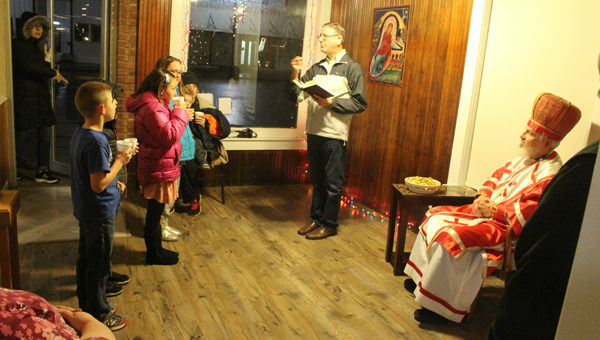 Frank Johnson, a member of the Holy Transfiguration Orthodox Christian Church in Hillsboro, tells the story of St Nicklaus to children who attended Down Home Christmas. Children received a small prize of a chocolate gold coin. 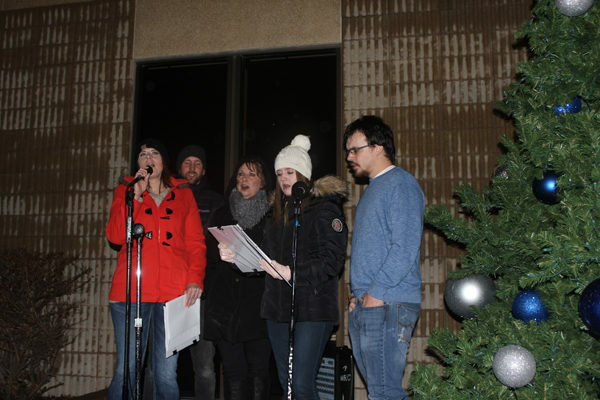 Grace Community Church Praise band lead the community in singing Silent Night before the tree was lit. Pictured are Holly Nickel, Dave Funk, Jody Herwig, Leah Fish and Kyle Roberts.